Dr. Fatahi has worked as a consulting and site geotechnical and railway engineer and has completed doctorate studies in Soft Soil Geomechanics from the University of Wollongong in Australia. Behzad is currently a full-time Associate Professor of Civil and Geotechnical Engineering at the University of Technology Sydney, and was previously a Geotechnical Engineer at Coffey Geotechnics Pty Ltd, Sydney Office. Behzad has worked significantly on design of structures and foundations against earthquakes and has been researching on new design and construction techniques to improve performance of high rise buildings under large earthquake. He is leading several major research projects in this field and has conducted advanced numerical modelling and experiments to verify the new designs. Behzad has immensely contributed to the idea of green corridors for railway lines. He has developed a novel model considering the coupled flow-deformation equations in soil to simulate influence of native vegetation of railway and road formation. He is a Chartered Professional Engineer. Since 2006, Dr. Fatahi has published over 20 peer reviewed Journal and Conference papers on the topic of green corridors for roads and railway lines. Dr. Fatahi was named 'Australasia Young Railway Engineer of Year 2007' by Engineers Australia and Railway Technical Society of Australasia. 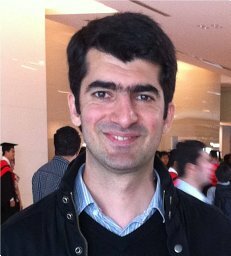 Behzad was also awarded the first prize at the Young Geotechnical Professional's Night in 2006, which is a prestigious geomechanics award from the Australian Geomechanics Society and Engineers Australia. He was also a first prize-winner at UOW's Higher Degree Research Conference in 2005 in the category "Frontier Technologies for Building and Transforming Australian Industries". Dr. Fatahi is the reviewer of several international geotechnical journals. He has been involved in many ground improvement projects in Australia and overseas. His research and practical interests include Ground Improvement Techniques for Roads and Railway Lines, Viscous Behaviour of Clays, Bioengineering, Soil-Structure-Interaction, and Unsaturated Soil Mechanics.